in or join the HPS! 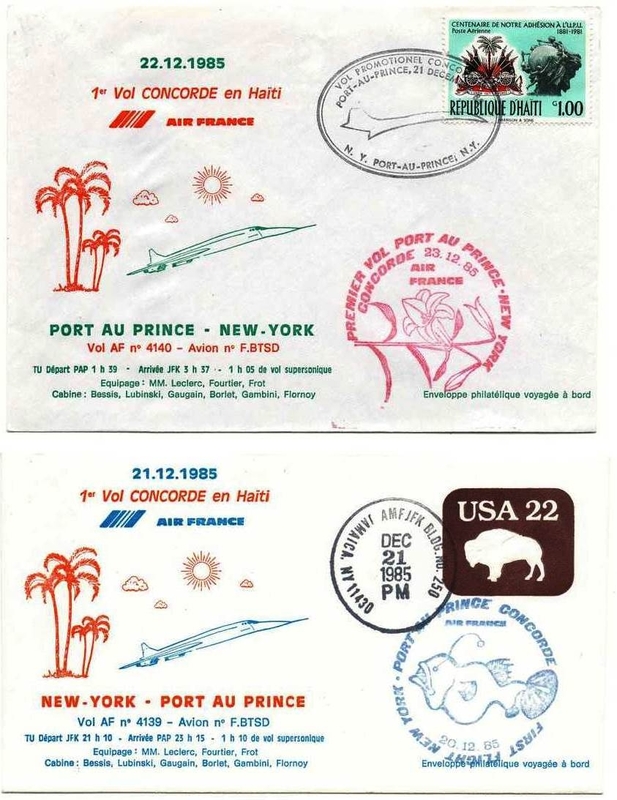 A user asked the HPS via Twitter if we knew why an anglerfish appears on the commemorative flight cover of Air France's Concorde flight from New York to Port-au-Prince (image below). this is odd. One doesn't really associate an anglerfish with Haiti (or New York), and the best known species is from the north eastern Atlantic, anyway. Perhaps the designer was told to provide a sketch of another fish (family) of the Caribbean coral reefs, the iconic angelfish, and he confused these two? Copyright 2018 The Haiti Philatelic Society. All rights reserved.